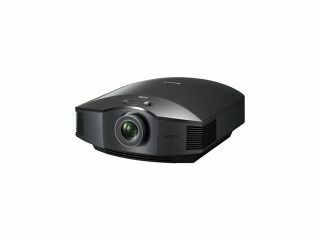 Sony has unveiled a new addition to its 3D projector range, the Sony VPL-HW30. The HW30 joins last year's VW90, but it is promising a price that's a lot healthier for home cinema enthusiasts. The Sony VPL-HW30 offers a High Frame Rate SXRD Panel (1920x1080), which produces crisper images with blur reduced. Couple this with MotionFlow, 70,000:1 and brightness of 1,300lm and what you have are specs as sharp as the image quality. Sony is also trying to counteract the thorny issue of crosstalk with its 240Hz panel drive system. It will also upscale 2D to images to 3D, which is a bonus considering the lack of 3D content out at the mo. The VPL-HW30 supports Sony's new range of active shutter specs, snappily titled TDG-PJ1, and the new Sony transmitter, the TMR-PJ1. Both of these will be sold separately to the projector, however. As for price, the HW30 will retail for around 3,300 Euro (£2,900). When you consider its predecessor cost in the region of £6,000 this is a significant mark down. The VPL-HW30 UK release date is July.